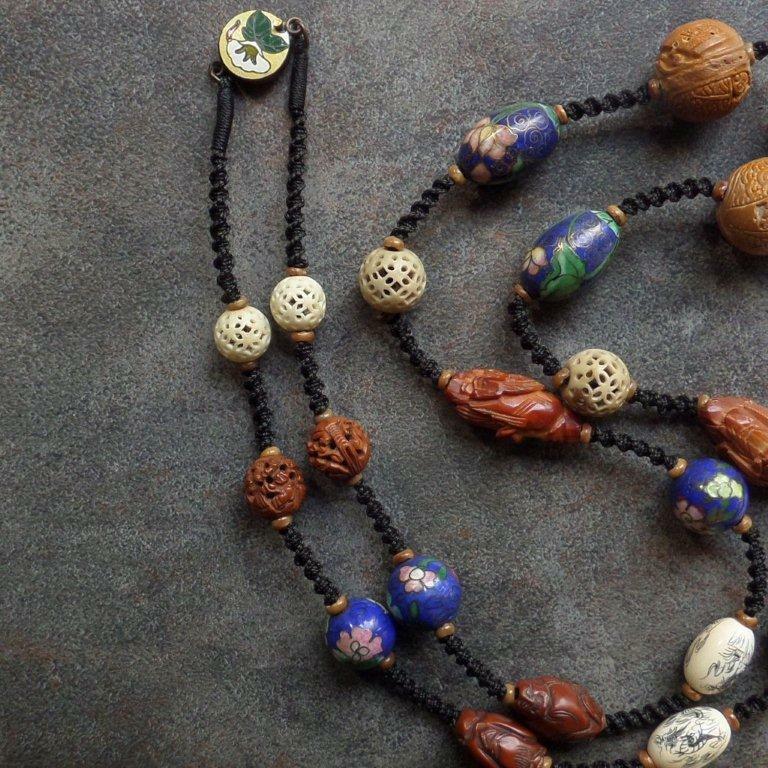 Most of the beads appear to be pre-WWII – delicate carved bone and fruit pit beads in the style used for Mandarin court necklaces, carved nut beads with a reddish patina, faux Japanese ojime beads in some sort of pressed composition. One of the carved canarium nut lohans is accompanied by a dragon, the other by a lion or qilin. 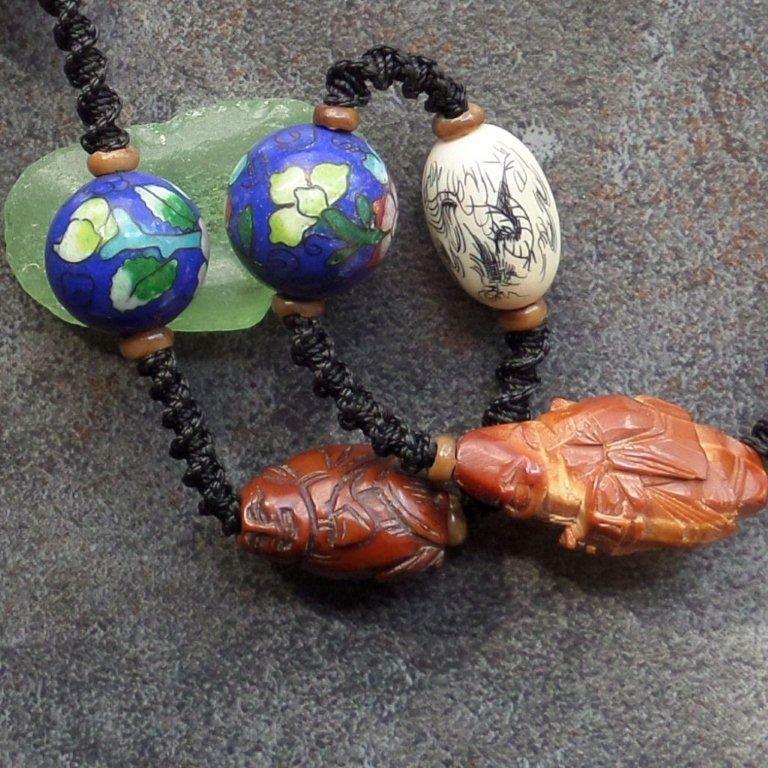 As to the ivory beads with scrimshaw dragons, and the large silver filigree bead with enameled bats, I have no knowledge that would allow me to make a guess as to their age. 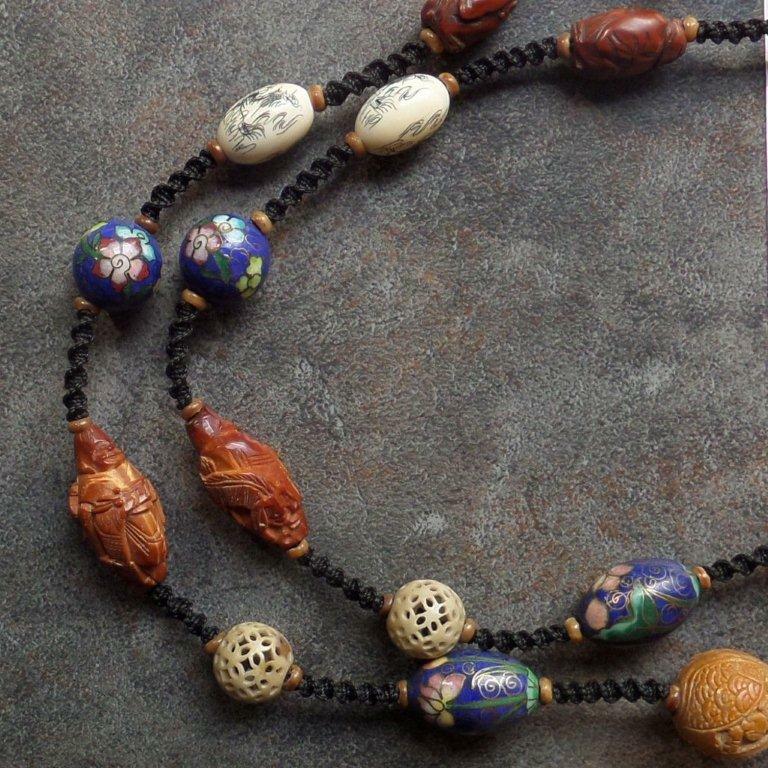 Another necklace of the same design showed up in an auction. The similarity in design to Nick's necklace is obvious. 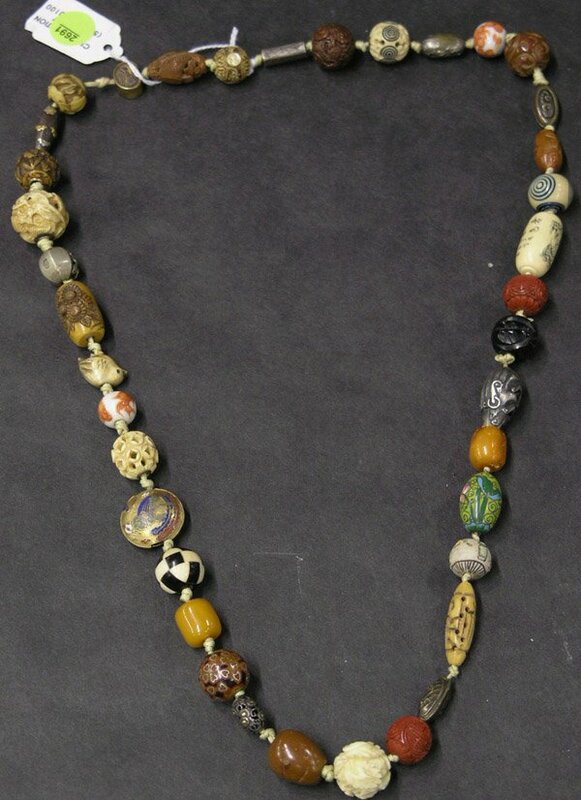 A pair of beads is missing in this necklace; presumably the delicate carved bone beads, which had become dry and fragile with age and broke. 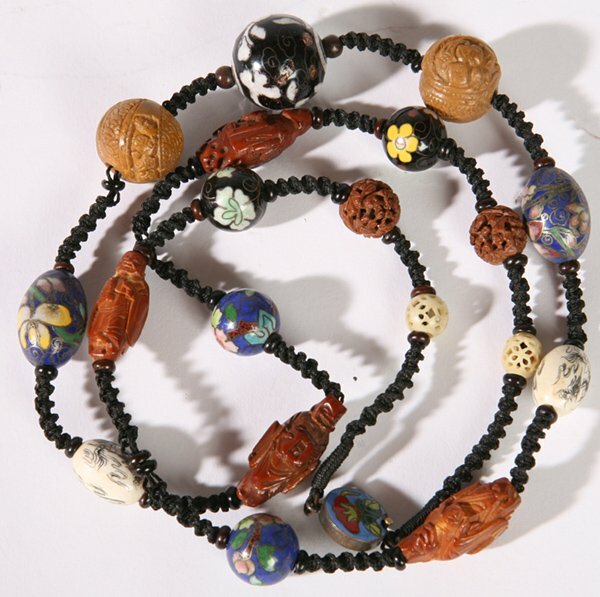 The large black and white cloisonné bead in the center is typical of other cloisonné small wares from pre-WWII, and seems consistent with the style of other Deco-era Chinese cloisonne beads. 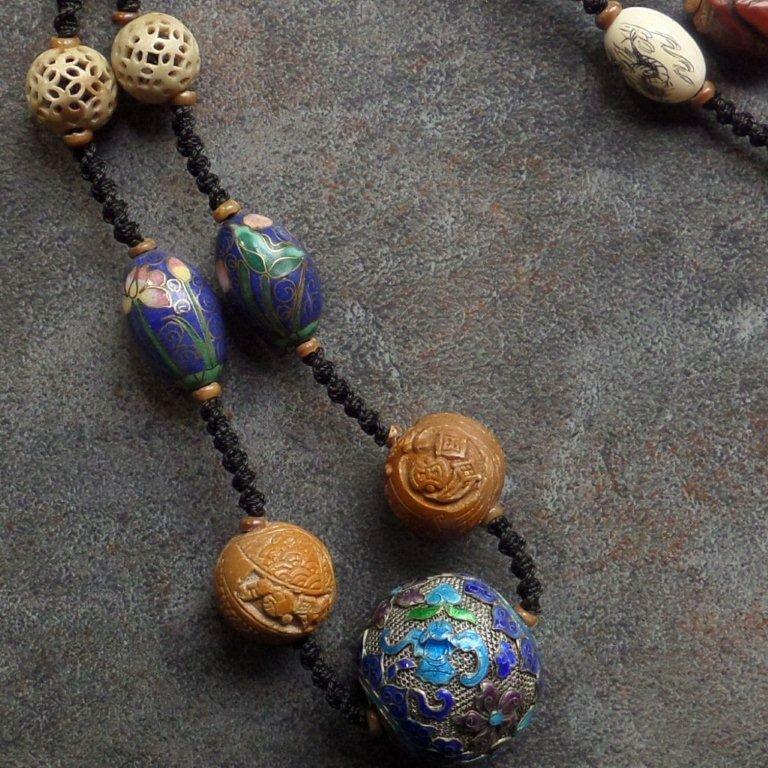 One of the cloisonne beads appears to have been made by The Dot Artist. 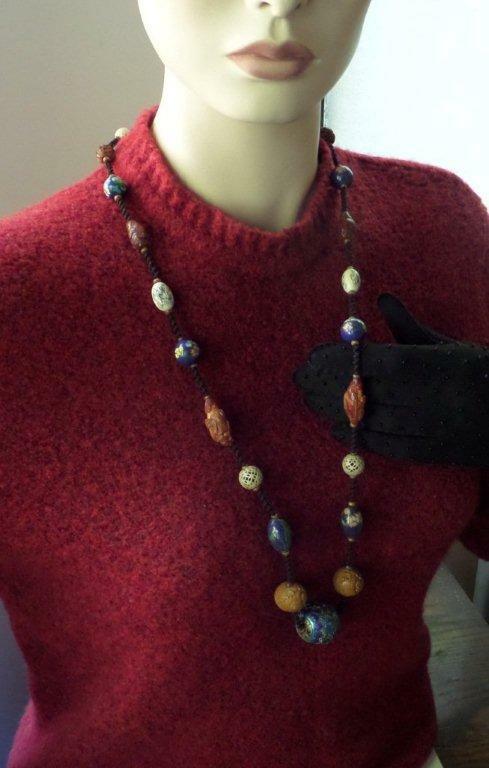 If the other beads on these necklaces date to before WWII, perhaps some of the cloisonné beads do as well? Could they perhaps be as old as from the 1910-1920 decades, when cloisonné masters turned loose from the imperial workshops were still working around Peking? Owner states,"This cloisonne bowl was purchased in Hong Kong in the mid 1950s by an uncle of mine." 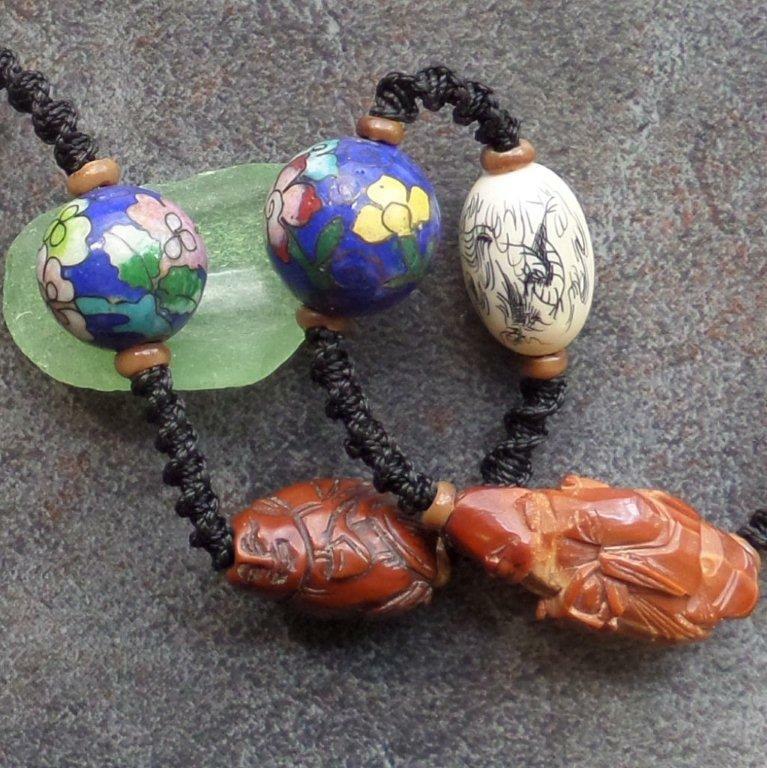 Is the good craftsmanship of these cloisonne beads evidence that they were made for Chinese consumers, not for export? 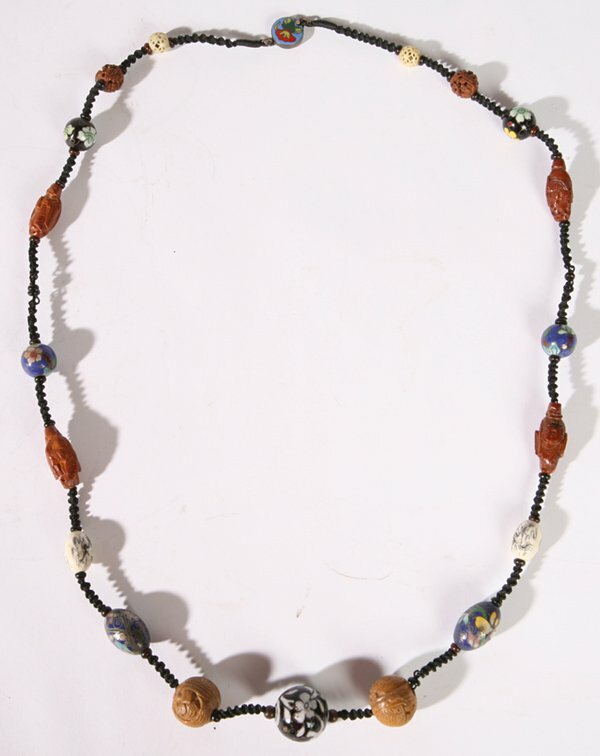 As to the overall design of the macrame necklaces, the existence of a pair seems to indicate either a designer or an atelier converting strands or collections of matched beads into these necklaces in order to highlight the individual beads. 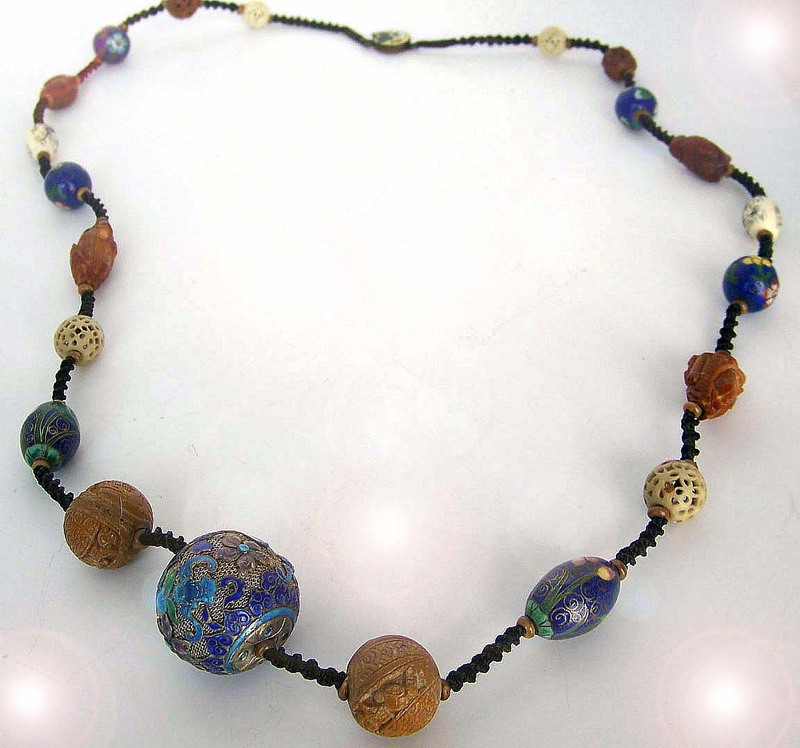 Perhaps the beads were sourced from curio shops in Hong Kong, London, and/or San Francisco? The use of the stamped morning glory clasp seems to indicate assembly during the 1970s or later. Do you think it’s a typical 1970s design, or 1920s? Are there other examples of this design out there? It looks quite dramatic when worn – my mannequin models it for you. 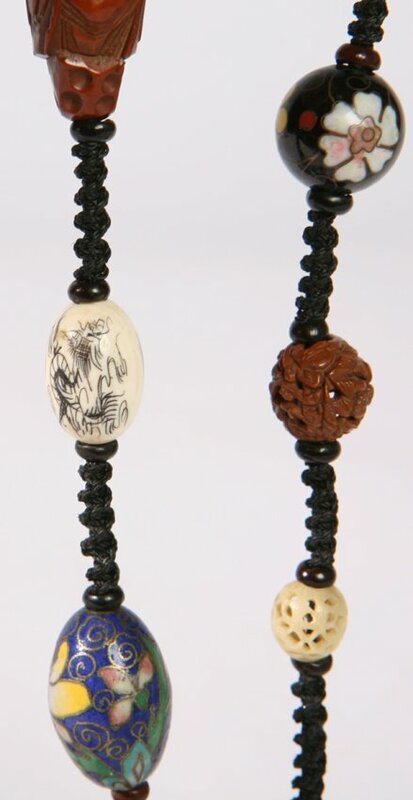 the disk-shaped phoenix bead with the squared holes, such as appears in belts that seem to be from the 1930s and Japanese obidome.